If you have amalgam fillings and you think it’s ruining your smile, maybe it’s time to replace them with composite resin filling, also known as tooth-coloured or white fillings. Nowadays, dental fillings can be natural looking, so there’s no reason for you to stick with silver fillings, especially when you’ve always wanted to improve your smile. Many dental patients are more conscious about how they look; thus, getting silver filings are not on their list when they visit their dentist. One of the main benefits of composite resin fillings is the aesthetic, but its advantages doesn’t end there, particularly when it comes to improving your smile and protecting your teeth. Dental filling treatment is both a preventive and a cosmetic dental procedure. It is a preventive measure because it is a time-tested and effective way of keeping decay from doing further damage. The filling seals up the small cavity in your tooth that is created by decay-causing bacteria. If the decay is not treated, it won’t go away and it will continue to damage your tooth by spreading deeper inside them. In addition, filling cavities also means improving the aesthetics of your teeth and the appearance of your smile. Tooth-coloured fillings can match the natural colour of your tooth and maintain its natural look unlike silver amalgam fillings, which can show when you laugh or smile. Dental fillings are also considered as restorative treatment as they restore the function and integrity of tooth structure. For the past decades, white fillings have been deemed less long lasting than amalgam fillings. However, modern dentistry has made it possible to provide dental patients with natural-looking and long-lasting fillings using new materials that are comparable to silver fillings, and these new materials are proven to be successful and efficient for filling cavities and restoring the teeth. High-quality composite resin filing materials do not contract or expand to temperature changes, such as when you consume cold foods or hot beverages, which helps protect the integrity of your teeth. Composite resin fillings are bonded securely to your tooth with the use of curing light. This makes the filling material less likely to come loose of fall out over the course of time. Preserves the tooth structure, as white fillings require less of your tooth structure to be removed to apply the filling. The biggest difference between white fillings and silver amalgam fillings is that composite resin fillings are mercury-free. Metal fillings have mercury and it may potentially pose a health risk for certain dental patients. 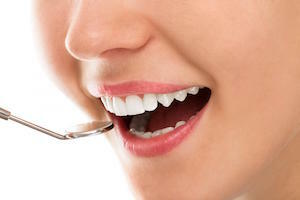 White fillings are a safer option since they don’t contain mercury. If you are not satisfied with how silver fillings affect your smile or they have started to come loose, your Bondi dentist at Bondi Dental can safely remove them and replace with natural-looking and high-quality composite resin fillings. White fillings are a quick, safe and inexpensive option that helps improve your smile. If you are in need of restorative treatment, don’t delay your appointment with us here at Bondi Dental. Let us save your teeth and keep your healthy smile while there is time. We are conveniently located in the Eastern Suburbs Bondi Beach, Bondi in Sydney, offering high quality dental services to the local Bondi community and its surrounding areas. Bondi Dental provides free parking facilities at rear of building. Contact us today to claim your FREE Dental Consultation on a dental check-up, smile makeover, and dental implants. Bulk Bill Child Benefit Schedule Up to $1,000.Call on (02) 9365 7187or simply book your appointment online. Bondi Dentals group of professionals has combined experiences of over 60 years in all aspects of dentistry. Why Prefer Composite Filling in Bondi?